The SCYL Netherlands Bureau was founded on the 22nd of August 2002 at 20.00 pm central European time in Ter Apel Groningen by five great compatriots of freedom under the guidiance of comrade Julius Che; after due consultations with the SCYL National Secretary General Comrade Cho Lucas Ayaba. It was at Ter Apelevernen 5 more than 3000 km from the political capital-The Hague where history was made. 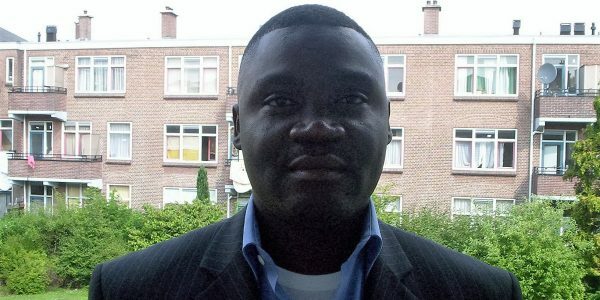 It all began on the 10th of July 2002, when comrade Julius Che, through Barrister Hekman of Utrecht wrote a note of appeal to the dutch immigration director of police and the Ministry of justice, requesting to form and opreate the SCYL within the premises of the IND but with a mandate to cover the entire Netherlands. On August the 20th 2002, Comrade Che Julius received a telephone call from Lawyer Hekman, that the SCYL can go ahead because as per the Dutch law, no precise law warrants the operation and functioning of a “stichting” Non profit making organization. Thus operation without due authorisation was permitted and legal. Thus on the 22nd of August 2002 in a small square room of about 3m square,at Ter Apelervenen 5 in Ter Apel Groningen Province at an Opvang Centrum called OC, Comrade Julius Che, Comrade Gideon, Comrade Wacahm Teboh, Comrade Besong Egbe, Comrade Smiles, Comrade Bomah Terrence and Comrade George Ako did laid the frame work and charter of what is today SCYL Holland Bureau. After two successive meetings of 8th September and 15th September, these brave men and lady were linked to Mr Nathan Asong by the Secretary General and with consultations on the phone, a frame work was built for making the Branch public through ‘the Vioce’magazine and net. With 41st anniversary of the Southern Cameroons at the corner, the Ter Apel group which was now labeled as the tink tank, spent nights making communiques to the Southern Cameroons, Germany, numerous visits to internet cafes to make documentations, flyers and the printing of T-Shirts carring the SCYL lOGO and the name of the Southern Cameroons that was to be used for the event. Living on a dutch allowance fee of 39 euro 4 cent per week, these great men and lady had to sacrifice food and call card money to make provisions for internet fees, cost of flyers and the purchase of t-shirts and paint. On the 30th of September, all the documents for our plan demonstration scheduled at La Republique du Cameroun Embassy at Amaliastraat 14 Den Haag was ready. Mr Che Julius, did present a letter of apeal to the Dutch immigration police requesting the permission to carry these freedom fighters to Den Haag for the even. The reasons for this request was, October 1, 2002 was on a tuesday and ever asylum seeker must present him or herself physically to the Dutch immigration officers as a sign of roll call, secondly, we hard some members who were in school and must be present for lessons everyday from 08.00am to 12.00 pm. Also, Den Haag was some 3 and half hour away from Ter Apel, so leaving after noon would have had no effect because by the time we should arrived The Hague, working hour would have passed.